At Enterprise,we have the ability to complete multi-level projects which include the machining and assembly of multiple components into a single product. The project highlighted here included the machining of multiple steel parts, which were then assembled into steel shielding that is used by a customer in the electronics industry. The A36 steel plate material was machined in a CNC milling center to tolerances of ±0.0001” and to a surface finish of 63 µin Ra. The shielding has an overall diameter of 24”, demonstrating our ability to machine larger diameter parts as needed. 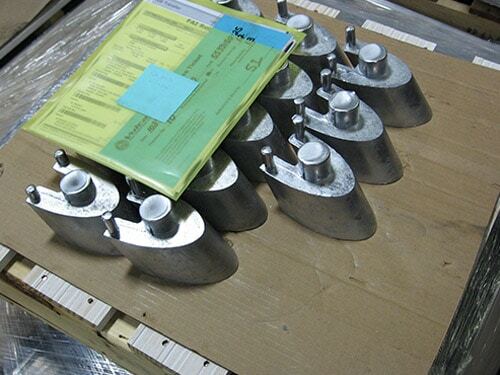 A first article inspection was performed to verify the accuracy of the parts and all machining processes. This was a rush order that was completed and shipped to the customer in three days. Many precision machining shops cannot offer the level of flexibility and expedited service that we provide. As a result of our responsiveness and quality of workmanship on this project, the customer has awarded us additional machining projects. Much of our work stems from long-term customers who continue to partner with us because of the service, quality, and expertise that we offer. For additional details about this expedited CNC machining project, see the table below, or contact us directly.